In the 1630s, Puritans from Massachusetts settled the river towns of Hartford, Windsor and Wethersfield. 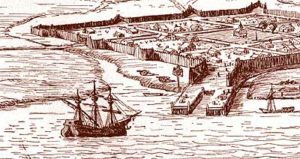 Surrounded by wilderness and frighteningly distant from England, Connecticut’s early colonists moved quickly to set up “rules, articles and agreements” by which they would be governed. The Fundamental Orders they drew up in 1639 expressed two radical political ideas: the authority of government came from the “free consent” of the governed, and “representation” – letting the people chose their own leaders – was the way to make government work. Their handiwork was the world’s first document putting in practice the principles of self-government. Connecticut’s founders came on a religious mission. Bitterly persecuted for their beliefs in England, they created a “Bible Commonwealth” in which their religious views could thrive. Convinced that the Bible contained a clear blueprint for the good society, they based many of their laws on Biblical precedent. Their deep religious convictions made early Connecticut a society that insisted on a single set of beliefs for all and tolerated no dissent. The “General Court” regularly intervened in all aspects of colonial life. It set the prices merchants charged, granted divorces, imposed taxes, settled estates, punished people for crimes, regulated family life and even conducted a vigorous foreign policy. Finding the common good was relatively easy when the population was measured in the hundreds, came from the same background and believed in the same things. But by the early 1700s, controversies over land weakened the Bible Commonwealth and made Connecticut an increasing contentious place to govern. For the early Puritans, Connecticut’s ample land was the basis for religious community and a common purpose. For later generations, land was a source of individual wealth and personal advancement. A General Court designed for a simpler time was called upon to settle rancorous issues of land distribution and address complicated new problems of credit and trade. 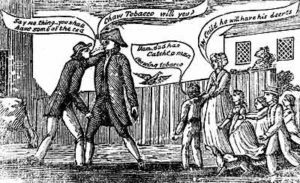 Intense religious controversies in the 1740s further challenged the colony’s legislators. Anglicans, Baptists, Quakers and other religious groups entered the state and pressured the General Assembly to blunt the colony’s harsh “Blue Laws” and to recognize their religious practices. In the 1760s, Connecticut’s government faced its sternest test when British attempts to raise new revenues from her American colonies seemed to threaten the very notion of self-government. 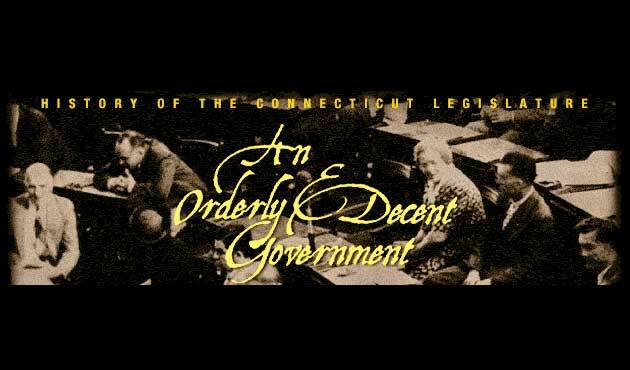 This article is a panel reproduction from An Orderly and Decent Government, an exhibition on the history of representative government in Connecticut developed by Connecticut Humanities and put on display in the Capitol concourse of the Legislative Office Building, Hartford, Connecticut. A Connecticut Home That Dates Back to the 1600s!